and bring the children, we will teach you all at the same time!! Please forward to friends, via email, facebook, twitter, or printout and display! Hand & Feet Martial Arts Techniques Kicking, Punching, Blocking, Jumping… Fighting Patterns, Semi-Contact Sparring Full Contact Bag Work Destruction/Board Breaking Techniques, Street Wise Self Defence National Belt Gradings & Tournaments. Yes we teach little Tigers too! 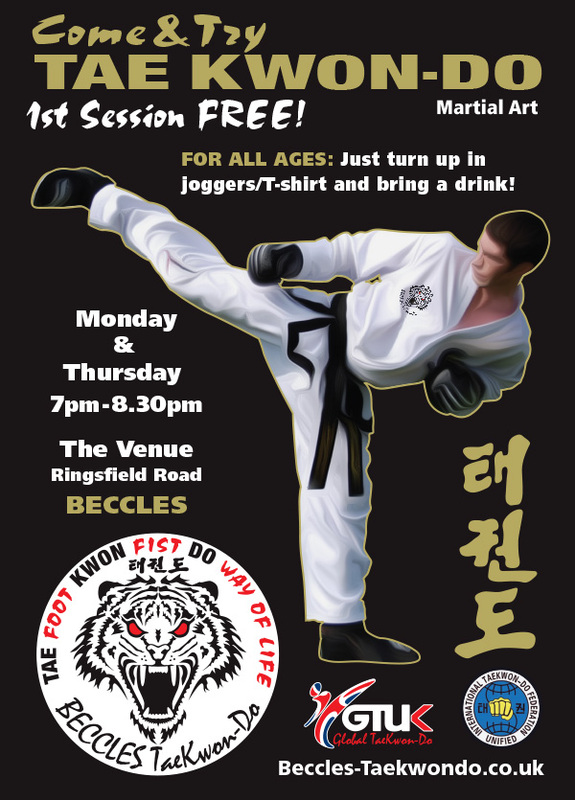 Taekwon-do will benefit virtually anyone of any age, size or shape, ideal for families and individuals. 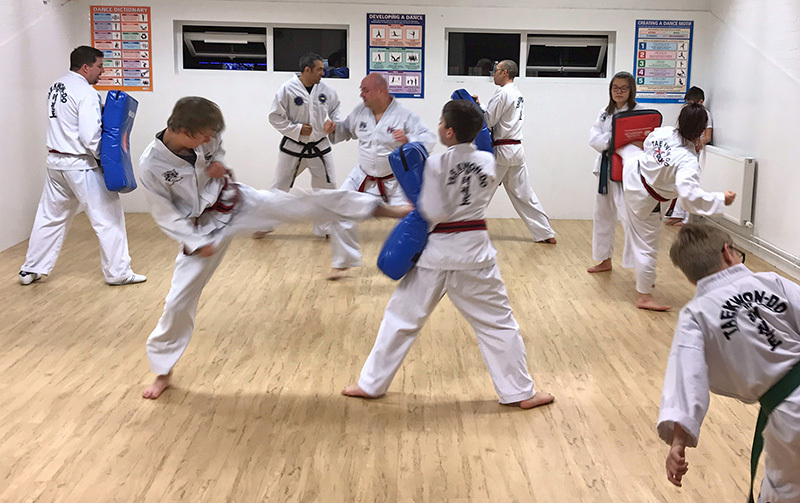 Learning to defend yourself is just the start, Taekwon-do will make you fitter, stronger, more confident, increasing focus, power, inner strength and self discipline. where mums and dads can learn alongside their children.